Carefully packed with plastic bag, bubble wrap and then put into a carton box. Two beautiful and thin gemstone edge plated in gold or silver in a bracelet. 2 Colors available: Only Natural color (come in a range of earth colors). 4 Plating available: Gold or Silver. 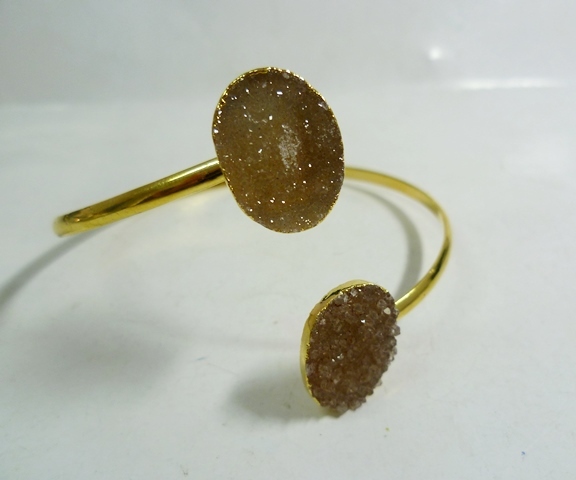 Similars Products: Dual Druzy Bracelet.